This is the time of year, when it’s cold and gray, that my thoughts turn toward Europe and warm strolls along the Seine or dining at a sidewalk café in a charming Italian town. Thanks to points and miles (and a good day job! ), my wife and I have been blessed to take an annual trip to Europe, something we plan to continue in 2019. 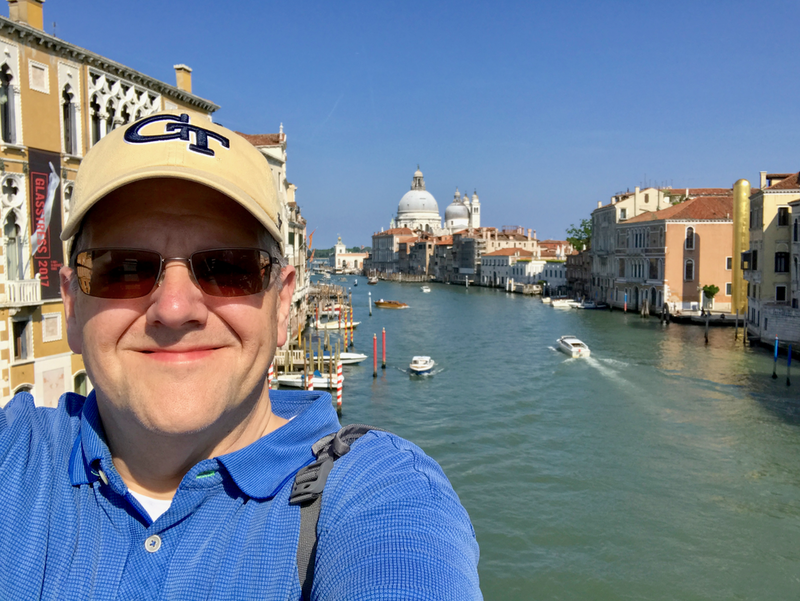 I have written previously about my approach to travel planning, but this year’s trip is different in a few ways which makes the planning process different as well. In fact, I encountered challenges I did not expect. Unlike for some previous visit, this year we literally had a blank slate. We quickly settled on when we would go but where remained wide open. Europe was to be our oyster! That greatly excited me but, being a meticulous planner, it soon proved to be a source of complexity. When I face a blank travel canvas, the combinations of arrival and departure gateway airports, cities to visit, trains or flights between those cities, and hotel availability rapidly multiply. Because I like to have my i’s dotted and t’s crossed, I have a lot to research. Given the sheer number of places we could visit, simply deciding where to go proved to be the most stressful part of the planning process. However, before tackling the question of our final destination, I wanted to address a key factor that matters a lot to me: transatlantic flights. For readers of my blog, you know that premium cabin award flights is a significant component of my European travel experience. This is because I consider the ability to get real sleep on the outbound flight critical to hitting the ground running upon arrival. Also, while sleep is not a major consideration for my return flight, if I am going to spend seven to nine hours on an airplane, I want that to be in a premium cabin. Beyond this, as s transportation enthusiast, the flight is part of the fun, not just a means of conveyance between points A and B. Because moving around Europe by rail or discount airline is simple and cost effective (and, in the case of trains, downright enjoyable! ), my final destination has limited bearing on long-haul flight selection. However, I do keep the arrival flight in mind as I build an itinerary because some gateways simply do not work well with some final destinations. A flight selection could eliminate certain destinations; at other times, firm destinations could reprioritize, if not eliminate, certain transatlantic flights. It can be a bit of a chicken-and-egg problem. With my options wide open, I decided to start by nailing down my transatlantic flights. The first step was to identify premium cabin award availability and what mileage balances I needed to book seats. My approach this year was similar to that which I used in 2016, so I recommend reading that article for a deeper dive into my process. I won’t go into extreme detail here but rather hit the high points and tell you which flights I selected. I had hoped to use my significant balance of American AAdvantage miles. However, despite checking every feasible AA flight from the U.S. to Europe, I was unable to find business class award seats. Neither was I able to find any space on oneworld partner Iberia to Madrid. There was availability on British Airways, but the fuel surcharges were so exorbitant they rendered moot the point of using miles for low cost premium cabin seats. The experience led me to decide I would no longer actively pursue American AAdvantage miles. Living in Atlanta, Delta is my go-to airline and their’s were the first flights I checked after striking out with American. Unfortunately, I found availability to be only slightly better than during the summer high season. I found a couple of legs from JFK to Zurich and JFK to Milan, but by the time I was ready to book, those seats had disappeared. I had no luck finding availability that would work for me with SkyTeam partners Air France/KLM (plus I had major issues with the award search section on either airline’s website). After finding few good options to get to Europe with any airline, my fallback alternative was the flight I have taken from Atlanta to Europe in both 2017 and 2018: Atlanta to Brussels. Belgium. For whatever reason, even in the middle of summer, I have never had trouble finding award seats at the lowest mileage rate on this flight. The downside was that the flight is operated by an unexciting Boeing 767-300ER. While Delta One is not the most posh premium cabin, it is more than acceptable and my experiences have all been above average or great. The fare for two seats was $172,000 Sky Miles and $11.80 in fees. Brussels does not have many SkyTeam connections so any onward transportation, via plane or train, will likely be paid (as of this writing, I am still working on this). However, that’s a minimal cost compared to the number of points or cash it would have taken to get to a closer gateway. Because Switzerland was a possible destination, I was intrigued about flying in Swiss Air business class. Unfortunately, I was unable to find seats via Swiss Air directly or Air Canada’s Aeroplan program. Similarly, I have always heard great things about Lufthansa First Class, though generally these are reportedly hard to obtain more than a few weeks in advance via Star Alliance partners. Searching via partners as well as Lufthansa’s frequent flyer program Miles & More, I found no availability for our dates nor was I able to locate business class seats between Atlanta and Frankfurt. While searching via United Airlines, I did find some availability from Atlanta to Istanbul on Turkish Airlines but that felt a little like driving from Atlanta to Miami to ultimately get to Orlando. However, I stumbled across a gem that was not on my radar. I have not flown on United Airlines in 19 years so I have never booked a United award flight nor have I even paid much attention to the Mileage Plus program. In searching for UA flights between the US and Europe, I discovered that I could book seats between Paris and Newark-Liberty in Polaris business class, with a connection to Atlanta. This was a good fit since I knew I wanted to spend one night in Paris and, at my wife’s request, I preferred to limit our return journey to two segments. When I checked the aircraft type (which, as an avgeek, I always do!) for the CDG-EWR leg, my excitement spiked: the flight was operated by a new Boeing 787-10 Dreamliner! This is one of the widebody aircraft types I have yet to fly but very much want to! In addition, this is a very new addition to the United fleet and is being delivered with a business class that is not Polaris in name only, but features the actual Polaris cabin! Though the fare was more than the minimum miles for a transatlantic business class flight, because of the perfect fit for my schedule and the fact that I would finally be able to fly on a Dreamliner, in an actual Polaris business class seat. On top of that, we will have access to the new Polaris Lounge during our layover in Newark, a prospect that makes a five-hour layover something I am looking forward to! I was happy to transfer 234,000 Chase Ultimate Rewards points and pay $259.26 to secure seats for my wife and me! Another option I considered included the fifth freedom flight on Emirates from JFK to Milan. Emirates business class on an A380 would be a dream flight and seats were available through Alaska Mileage Plan. Unfortunately, the rate was 180,000 miles which I would have to convert from one of my flexible credit card currencies. Considering I needed two tickets, as much as I would love to fly Emirates, I was not willing to part with 360,000 hard-earned points for two tickets for such a relatively short flight. I am exciting to be laying out another trip to Europe. This is not just because of how much I love visiting that part of the world, but also the sheer fun of planning travel. With relatively few restrictions on this year’s trip, I was overwhelmed by some aspects of the effort but I did manage to research and book both our outbound and inbound which will bring a degree of focus to the remainder of my planning. The Delta flight from Atlanta to Brussels isn’t the most exciting transatlantic option, but it gets the job done for a decent price. The United leg from Paris Charles de Gaulle to Newark-Liberty is much more exciting though slightly less practical given a five-hour layover in Newark. With that done, I was able to dive into what we would experience on our trip. More on that in subsequent posts!